Life isn’t fair. In fact, it sometimes seems allergic to fairness. Things go awry, and the legal mechanisms that normally keep our lives running normally end up running us into the ground. When that happens, life can resemble a nightmare of the worst variety. In 1982, UK couple Adrian and Gail Wallbank became the proprietors of an Aston Cantlow farm handed down to Gail by her late father. But thanks to a centuries-old legal obligation known as chancel repair liability, the Wallbanks also became financially beholden to the St. John the Baptist Church. And in 1990, that house of worship hit them a £96,000 (nearly $142,800) church repair bill. 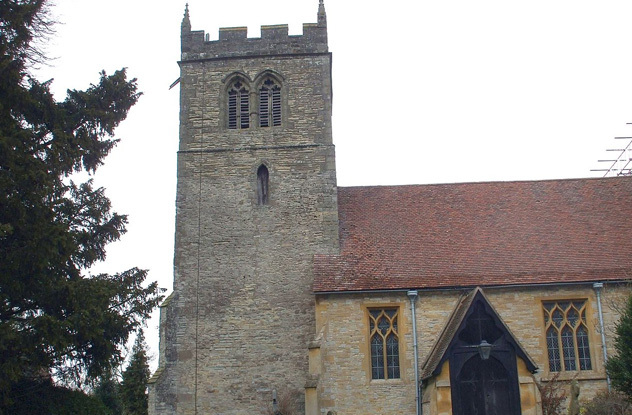 An 18-year legal battle ensued, and despite their tenacity, the Wallbanks lost and were ordered to pay the church £230,000 to cover its repair costs—plus an additional £250,000 in legal fees. The defeated couple sold their property for £850,000, some of which they used to pay off their gigantic fees. To understand how the Wallbanks’ harrowing plight was possible, we have to travel back nearly 500 years to the time of Henry VIII. When the 16th-century monarch began abolishing monasteries and selling off their land in the 1530s, financial obligations to repair church chancels (which contained the altar and choir) were transferred from monasteries to the new landowners. By the 20th century, that system had become an all but forgotten relic of antiquity. But with total chancel repair needs approaching a £1 billion price tag, Anglican churches began looking to the old law as a financial savior. The Wallbanks quickly became the go-to example of how harrowing modern-day chancel repair claims could be. Their nearly two-decade ordeal caught the attention of the media, the public, and the UK parliament. In an attempt to preempt the rampant billing of unwitting parishioners, the government set a 2013 deadline for Anglican churches to stake their chancel repair claims. But with the vague language of the mandate appearing to nullify its own cutoff date, there was plenty for parishioners to be anxious about. Thankfully, there has yet to be a repeat of the Wallbanks’ case. And in one instance, a church faced with public scrutiny and criticism from angry parishioners even relinquished its right to exact onerous repair requests. In 2012—five years after the US housing market burst into financial flames and singed the global economy—many homeowners were still in danger of going under as foreclosure rates saw a drastic uptick from the previous year. But at least 126 unlucky Coloradans bore an utterly unnecessary burden. In addition to being forced to pay hundreds or thousands of dollars to halt the foreclosure and eventual sale of their homes, they were charged for totally fictional legal fees. The Coloradans in question weren’t the feckless victims of some two-bit scammer spouting fake legalese. The letters they received were official cure statements, which display the various costs of foreclosure proceedings. If homeowners paid off these fees, they would be able to prevent the foreclosure from moving to completion. But here’s where the deception comes in. 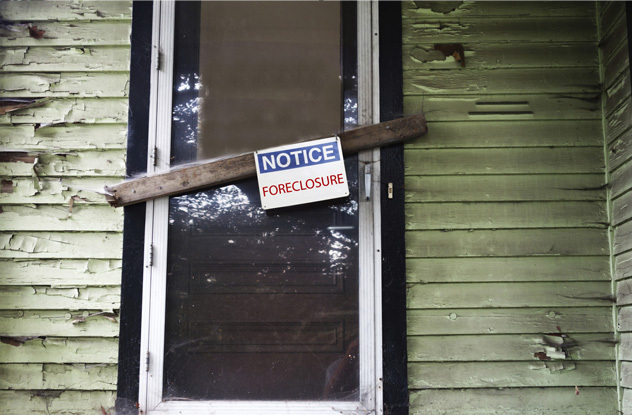 As part of that process, lawyers can seek financial compensation for filing foreclosure lawsuits (which are ultimately needed to get a judge’s permission to sell a home) on behalf of mortgage lenders, but not every foreclosure gets that far before a homeowner pays the other requisite fees. Some lawyers simply lied about filing these lawsuits to get paid hundreds of dollars in unearned money. The deception was made possible by Colorado law, which prohibited the state trustees in charge of overseeing foreclosures from challenging cure statements. So lawyers could lie to their litigious hearts’ content about a person’s current financial obligations with no hope for oversight. In 2012, dishonest attorneys raked in $40,000 in bogus filing fees. And the ruse had gone on for at least six years prior to that, duping untold numbers of people. To the relief of many, Colorado’s government passed a law in 2014 that put an end to the legal trickery that had been ensnaring homeowners and their bank accounts for at least half a dozen years, forcing the state’s attorneys to resort to less dishonest means of overcharging people. Jennifer Riddle’s legal predicament began roughly two decades ago, when she was 23 and engaged in the cannabis-rich exploits often associated with youth. Police caught wind of her pot-laced pastime and arrested her for possessing a miniscule amount of weed. Upon her lawyer’s advice, Riddle pleaded guilty, paid a $250 fine without even having to show up for her hearing, and went on with her life. What no one noticed at the time was that the code for Riddle’s criminal offense had been mistyped on her legal documents. As a result, the minor marijuana charge to which she pleaded guilty was recorded as the felony distribution of a meth precursor. In the 17 years that followed, Riddle struggled to keep jobs and places to live, all the while not knowing that she appeared to be lying about her criminal record when she reported her minor crime. Her eyes were finally opened to the mortifying truth by a job rejection letter: She was accused of misrepresenting her criminal history. Determined to unshackle herself from a false criminal charge, Riddle sought help from the courts. 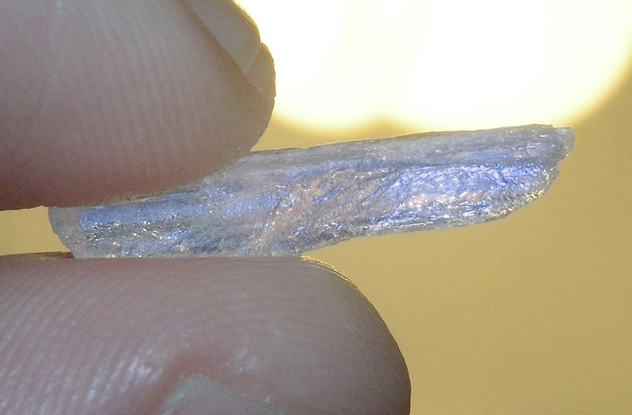 Bafflingly, her judge agreed to remove the false guilty plea but not the meth charge itself. Now, Riddle’s record says she was charged with both a misdemeanor and a felony but that she only pleaded guilty to the misdemeanor charge. To remove the incorrect charge from Riddle’s record, she had to prove that she was falsely convicted. And in the court’s infinite wisdom, that entailed serving jail time, which the clerically wronged Riddle never had to do. As a result, she’s left unhappily wed to a bogus charge that has unquestionably tainted her life prospects. In 2008, Gordon Lee Miller was found guilty of illegal possession of a firearm under a federal law that denied gun ownership to convicted felons. Miller was sentenced to 72 months behind bars and three years of supervised release, but he had been convicted in error. The problem stemmed from differences in how North Carolina and federal laws determined the status of felons. According to federal law, only a person convicted of a crime punishable by more than a year in the slammer qualifies as a felon. 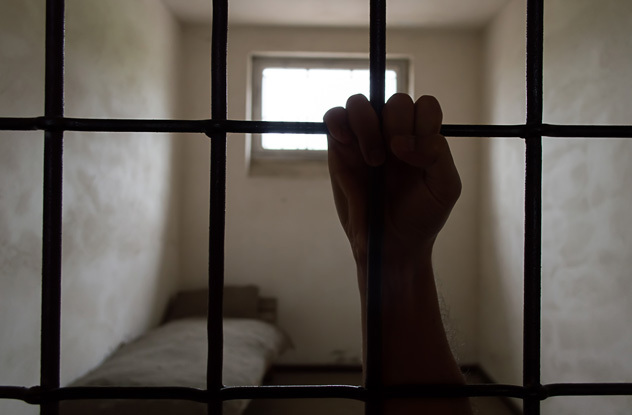 However, North Carolina law dictates that the length of a prison sentence is partly determined by the length of that person’s overall criminal record. Accordingly, a person with a string of minor crimes might serve over a year in jail for a crime that would only warrant a sentence of a few months on its own. Gordon Miller had broken the law in the past, but none of his individual transgressions boasted a jail sentence of longer than eight months. Nonetheless, he was regarded as a felon by state standards, wrongly also running him afoul of the federal firearms law. 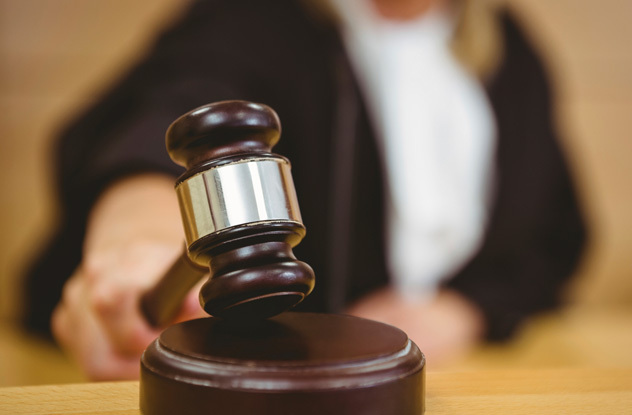 North Carolina judges had been making the devastating error for years until their faulty reasoning was officially called out by the Fourth Circuit Court of Appeals in 2011. Upon realizing their mistake, the prosecuting attorneys in Miller’s case sought to have his conviction overturned. But the presiding judge refused. The judge asserted that existing law at the time of Miller’s conviction allowed for his now obviously unearned sentence. Miller’s case is not the only one of its kind. Investigative work by USA Today shows that at least two other people wrongfully imprisoned under the gun possession charge have seen their release blocked or delayed. In 2012, the US Department of Justice uncovered at least 175 prisoners wrongly imprisoned because of this mistake. Disturbingly, USA Today identified 60 additional people that the DOJ knew were wrongly convicted but nonetheless wanted to keep behind bars. Thankfully, the department later changed its tune after apparently realizing how unjust it would be to knowingly punish someone for a crime that never happened. Even so, many of the innocent inmates identified weren’t immediately released. Forgetfulness is far more forgivable in some contexts than in others. For instance, in the criminal justice system, which lives and dies by diligent attendance to facts and procedures, it’s unacceptable for court officials to forget trial outcomes as though they were house keys. But Judge Adelina Entrena Corrillo made precisely that kind of error when she allowed an innocent man to languish in prison for a year because she forgot to release him. As head of the Motril criminal court in Granada, Spain, Entrena held the lives of crooks and the wrongly accused in her hands. One of those lives belonged to Jose Campoy Maldonado, who was charged with robbery in 2003. After failing to appear in court to face his charges, he was imprisoned in 2005 to ensure that he stood trial. At the conclusion of the proceedings, Judge Entrena herself determined that despite Campoy’s penchant for courtroom absenteeism, he wasn’t guilty of robbery. But 437 days after his acquittal, he was still in prison, unaware that the judge who cleared him of wrongdoing forgot to submit the paperwork needed to secure his release. Campoy eventually asked a teacher at the prison education facility to help him figure out how much longer he had to stay behind bars, whereupon the ugly truth was revealed. The judge and all other relevant officials working on his case had apparently just forgotten that he was in jail for more than a year. The General Council for Judicial Power was unamused to discover that Judge Entrena let an innocent man’s freedom fall through the holes of her sieve-like memory. But that wasn’t her only trespass. In two other cases, men who had been convicted of crimes were forgotten in jail for more than a month past their release dates. For those two offenses, Judge Entrena was disbarred. Her most grievous wrong—unwittingly condemning an innocent man to rot in prison—hadn’t been adjudicated at the time of her dismissal, making Campoy once again seem like an afterthought. In 2012, mother of six Maria Bolanos-Rivera mysteriously vanished. In the fall of that same year, Benito Vasquez-Hernandez and his son Moises Vasquez-Santiago, who had recently relocated to California, were arrested and dragged back to Oregon. They would spend a combined total of more than four years behind bars. But Vasquez-Hernandez and son weren’t involved in Bolanos-Rivera’s disappearance, nor did police think they were. Rather, authorities believed that Vasquez-Hernandez’s other son, Eloy Vasquez-Santiago, was the culprit. However, they also believed that Benito and Moises had information that could convict him. Fearing that the suspect’s brother and father wouldn’t willingly show up to testify against him, the court forced the pair to accept jailhouse hospitality in the interim. Oregon state law permits material witnesses in criminal cases to be detained for unlimited periods of time. So while the average time spent in custody is one week, months or even years are possible. Moises Vasquez-Santiago’s detention lasted 727 days (almost exactly two years), during which he descended into psychosis. After he began walking an imaginary dog, watching television when it wasn’t on, and even smearing his own excrement on the walls and floor, Vasquez-Santiago was diagnosed with schizophrenia. He was ultimately permitted to provide video testimony and was released. Benito Vasquez-Hernandez’s sanity remained intact, but his predicament was no less maddening. Vasquez-Hernandez didn’t understand English or the US legal system. So for the 905 days (or roughly 2.5 years) he spent in jail, he never really grasped why he was there. At one point, he received an opportunity to testify against his son before the trial began. But the distraught and confused father used that time to ask the court why he was being imprisoned and to declare his innocence. In the end, all the grief Vasquez-Hernandez endured in the lead-up to the trial was arguably wasted. When he finally took the stand, he denied any knowledge of incriminating behavior by his son, again asserted his innocence, and was quickly set free. For all his troubles, the aggrieved father received a check for $5,750 plus $232 in cash. The the scorn lavished on deadbeat dads by custodial parents and family courts is usually much deserved. That said, not every father who fails to pay child support is willfully negligent. When Texas resident Clifford Hall lost his job in 2013, he was willing but unable to make timely child support payments. But once he found work with AT&T, he arranged for wages to be set aside for payments. Unbeknownst to Hall, however, his new employer mistakenly forgot to arrange for those payments. His only indication that something was amiss was the lawsuit filed by his son’s mother. Hall, now aware of the mishap, paid $3,000 he thought had already been disbursed through his job. But the suit against him moved forward, despite documentation confirming that Hall had arranged for AT&T to deduct money from his wages. As a result of the clerical error and a separate issue of Hall visiting his son more often than scheduled, the doting dad was sentenced to six months in jail. The court eventually reconsidered and overturned Hall’s highly publicized sentence. But he wasn’t entirely off the hook. Court hearings don’t come cheap, and the unlucky father was ordered to pay the $9,000 that his case had cost. Saddled with court fees and an upcoming $1,000 child support payment, Hall went from covering all the payments he unknowingly missed to being $10,000 in the hole. During the early 1990s, Carnell Alexander of Detroit, Michigan, received a startling piece of news during a traffic stop: He was wanted by police for failure to pay child support. Like Clifford Hall in the previous entry, Alexander was blindsided by the revelation that he owed child support. But unlike Hall, Alexander had no children. Unfortunately for Alexander, that rather significant detail made little difference in the eyes of the law. The fault, it turns out, lies with a woman who dated Alexander in the 1980s. In 1987, that woman gave birth to a child she had few resources to care for. Desperate and single, she sought government assistance but needed a father’s name to put on her child’s birth certificate to qualify. She bestowed that honor upon Carnell Alexander without realizing at the time that he would later be asked to reimburse the state of Michigan for her government aid. Not long after this false paternity claim, the state sought to bring Alexander to court over the child. The legal documents never reached him because he was in jail for a youthful indiscretion. Yet for reasons unknown, the server tasked with delivering the paperwork to Alexander reported that the alleged father refused to sign off on it. By the time that succession of inaccuracies came to Alexander’s attention, it was too late. The state of Michigan wanted tens of thousands of dollars in compensation for years of taking care of a child who didn’t belong to Alexander. He fought the fee, and after a lot of legal hassle, he was permitted to undergo a paternity test to prove he wasn’t the child’s father. But even that concrete evidence and supporting testimony from the child’s mother weren’t enough to spare him. The court only agreed to halve the amount of money it sought, reducing the total to roughly $30,000. Taken aback by such judicial rigidity, Alexander refused and has since been threatened with incarceration, proving once again that legality sometimes has nothing to do with justice. The 1990s assailed appellate lawyer Gary Dubin with tremendous heartbreak and legal troubles. Toward the middle of the decade, he was forced to deal with the gradual deterioration of his son, who died of AIDS. Two years after that loss, he found himself on trial for tax evasion after the IRS erroneously determined that he owed $1.5 million in unpaid taxes. Adding to Dubin’s distress, the judge presiding over Dubin’s case, Manuel Real, refused to delay his trial, which denied Dubin the chance to secure top-notch representation of his own. Fraught with grief and legal turmoil, the deeply depressed lawyer checked himself into a psychiatric ward for treatment. The closest thing resembling a silver lining to this abysmally dark cloud was Dubin’s possession of records disproving the IRS’s accusations. The agency was prepared to acknowledge these records. Unfortunately for Dubin, his tax documents were at home, and he never got the chance to retrieve them. Judge Real, a controversial court figure who would later be exposed for extreme judicial misconduct, ordered that Dubin be extracted from the psychiatric hospital where he was staying and forced to defend himself in court. 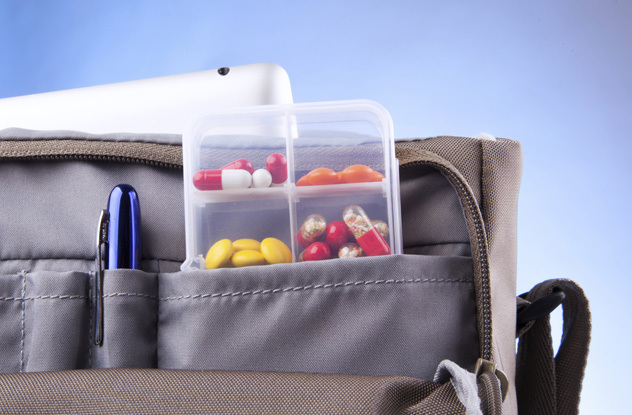 Unable to access his exculpatory evidence and incapacitated by antidepressants, the attorney couldn’t mount anything resembling an adequate defense. Judge Real, who had already established his utter lack of compassion, was unmoved. He sentenced Dubin to 19.5 months in prison and slapped the attorney with a $131,000 fine. Normally, a criminal conviction and punishment of that nature would spell the irreversible end of a lawyer’s career. But an evaluation of Dubin’s case revealed that he was wrongfully jailed and fined, so he was allowed to resume his law practice after that horrific ordeal. Unfortunately, his massive fine couldn’t be recovered, as it had already been lost—much like Dubin’s freedom—to an unaccountable court. Before September 2014, Steve Talley, a 20-year veteran in the financial services industry, was comfortably employed at Transamerica Capital in Denver, Colorado. By February 2015, his life had plummeted straight to oblivion, and the once employable Talley was homeless and hopeless. His quick descent into destitution came by no fault of his own but rather as the result of his physical likeness to a bank robber. Talley’s nightmare began on September, 15, 2014, when officers snatched him from his home and locked him up in a Denver jail. Much to his shock, Talley was being charged with bank robbery and assault. A maintenance man from his building had seen surveillance footage of two separate robberies and determined that Talley was the culprit. Other individuals—including a bank teller and a security guard who had struggled with the actual perpetrator—implicated a different suspect. But Talley’s fate was sealed by the mistaken eyes of people who knew him far more intimately. When approached by the police with video footage and photos, both Talley’s ex-wife and a roommate confirmed that he was the man shown committing the robberies. What sounded like a slam dunk for the cops had just one problem: Talley was at work during both of the robberies, and he could prove it. The high-stakes nature of Talley’s job made it necessary for him to use a security badge to confirm his presence at the office. The resultant security records showed that Talley couldn’t have committed the crimes he was accused of. 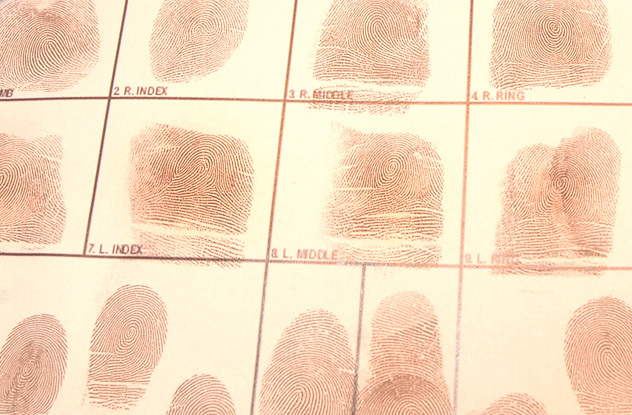 Moreover, Transamerica Capital had copies of his fingerprints, which authorities could have compared to a set of prints in the crime database presumably belonging to the actual robber. Inexplicably, police didn’t look into Talley’s alibi. Even worse, his own attorney only acquired the security badge evidence after Talley had already been stewing in jail for two months. The charges were quickly dropped at this point, but the damage had already been done. With his reputation irreparably marred by a mistaken arrest, Talley was spurned by employers in the industry he had spent decades serving. His life collapsed.